In England, a City Technology College is a state-funded secondary school that costs nothing to its attendees. In 1992, the program established the BRIT School, a performing arts and technology school dedicated to providing its students a chance to establish careers in the arts, entertainment and communications industries. Some of its alumni include Adele, Amy Winehouse, Jessie J and Natalie Shay. Shay’s musical journey began at age five, where she began training in classical guitar as well as musical theatre. At age 11 she was writing her own songs and played her first show at age 12. After becoming the winner of London’s Gigs Big Busks competition at age 13, it was the confidence boost she needed to audition for the BRIT School. Since studying there for four years and graduating in May of 2017, her solo career has given her opportunities to play to sold-out audiences at some of London’s most iconic venues. She’s also added a lengthier list of awards to her resume, including London Music Award’s Best Undiscovered Talent and two-time winner of the Mayor of London Gigs. Her debut single, “Follow You Home”, reached number 15 on the iTunes singer/songwriter charts in 2014 before teaming up with producer Pete Dowsett in 2015. He is known for his work with the likes of Pharrell Williams and Snoop Dogg and has done engineer work for various in-house and touring productions. It was a writing session between Dowsett and Shay that sparked her interest in continuing to work with him. Her time in the studio has made her appreciate the importance of bringing live sound to her recordings, and her interest in going beyond typical production values is part of that reason. Playing live is her favorite aspect of what she does, so live instrumentation and sound is important both on and off the stage. Her latest single, “This Feeling”, was written in 2015, produced in 2016, prepped for release in 2017 and released into the world in 2018. It’s the song that best represents the genre she’s going for and gives her the ability to highlight those powerhouse vocals. It’s relatable but not overly personal, making it the perfect stand-alone single. 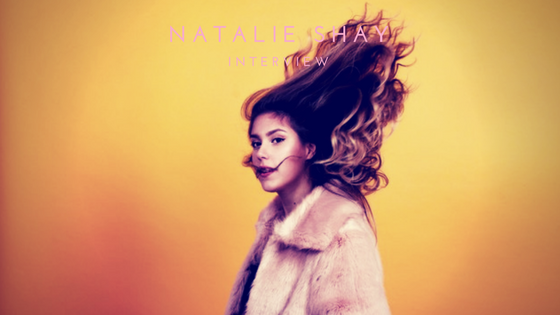 With a degree from the BRIT School, an array of awards and a promising year, Natalie Shay’s musical journey is gearing up for the next chapter.